New Delhi, Dec 7 (IANS) The Supreme Court on Friday imposed a cost of Rs. 50, 000 on advocate M. L. Sharma for filing a PIL raising allegations against Finance Minister Arun Jaitley of plundering the capital reserve of the Reserve Bank of India to waive off loans of big corporate houses. 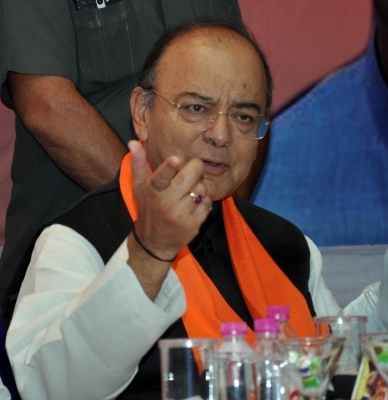 Slamming the lawyer for naming Jaitley in the PIL, the bench of Chief Justice Ranjan Gogoi and Justice Sanjay Kishan Kaul, said,"You make Finance Minister the respondent in the PIL, and further say that he will plunder the reserves of the Reserve Bank of India to make up for the NPAs of PSU banks." Dismissing the PIL, the court said, "We find no clear good ground to entertain the PIL." The bench also directed the apex court registry to not allow Sharma to file any PIL till he deposits Rs. 50,000. Continuing with his argument, Sharma urged the court to spare him of the cost and said that there was nothing personal in the issue that he has raised. However, the court was unmoved even though Sharma repeatedly apologised for naming the Finance Minister. Sharma, in his PIL, had sought prosecution of industrialists who had defaulted to the tune of several hundreds of crores. Telling the advocate that he was not doing any "good to the institution (Supreme Court), CJI Gogoi said, "The day has come when we will ban you from filing PILs." K. K. Venugopal, who was present in the court, told the bench that "Time has come to state the boundaries for filing PILs. Your Lordship has said in a number of judgments about the misuse of the PILs." Meanwhile, Sharma, who is known for filing a series of PILs before several courts in India, had named Prime Minister Narendra Modi in a PIL seeking a court monitored SIT probe into the purchase of 36 Rafale fighter jets from France.